Tending to a garden is a great way to de-stress, especially when you see the flowers that you tend to in full bloom. Still, there is a growing popularity for simple, more practical easy-to-grow gardens, like a backyard vegetable or herb garden. The pay-off and satisfaction take on a special spin, especially when you get to use the vegetables that you grow in the dishes that you serve. Why not try having your own? Keeping a backyard vegetable garden not only provides an opportunity for both exercise and relaxation, it can also give you a bit of savings. If you're worried about the space needed or the amount of attention you'll have to give the plants, don't. We've put together a short list of the top 3 vegetables that are easy to grow in the backyard, without needing too much space or care. Nothing looks prettier in the garden than a little green plant with bright red produce hanging from its branches. They not only look good, they also taste great with almost anything and they come packed with benefits like fiber, iron, and Vitamin C – all of which do wonders for your family's health. The amount of space you'll need will depend on the variety of tomato you plan on growing. Most varieties though thrive with on soil that's just a foot deep and a whole lot of sunlight. Start-up plants can even be grown in a used can by the kitchen window! Whether you like it because of the way it tastes on Pesto and Pasta Marinara, or the way it provides a comforting aroma for the big bowls of Mushroom Pasta Soup that your family enjoys, basil leaves have become a practical staple in more and more kitchens. A few chopped up leaves for each dish will usually do the trick! 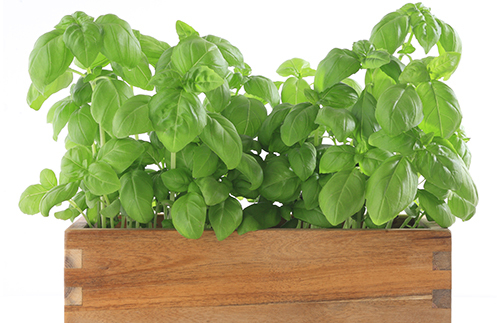 Growing basil in your backyard is simple and easy. Just find a sunny and dry area in your backyard or by a window, place the potted plant, and relax. A bit of water every now and then should keep it happy and healthy. Love vines in the garden? You'll love vines with vegetables even more! If you're lucky enough to have a bit of space in the backyard, try growing beans. They need a bit of soil, sunlight, water, and space to climb and crawl. In less than two months, you should be able to begin plucking them for lunch or dinner. As you get better at vegetable gardening, you may want to visit the local store and explore other simple vegetables that you can grow in your backyard. Seed packets are even sometimes available in a section of your favorite supermarkets.